December comes around only once a year, so I feel it’s time to spoil ourselves with some sweet treats. 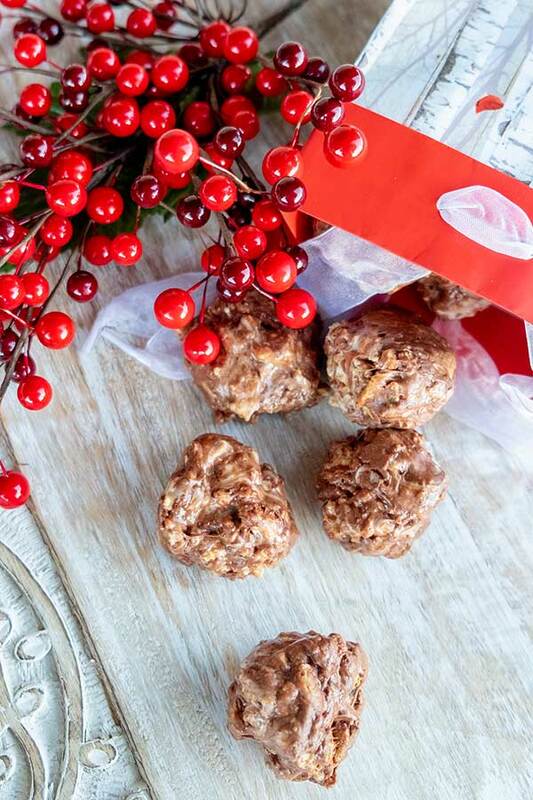 Make ahead desserts are a must during a busy month like December. 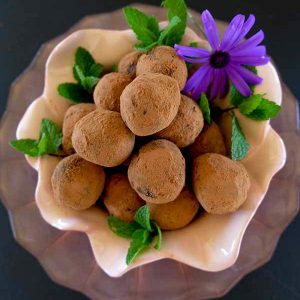 These gluten-free chocolate marshmallow balls are nothing fancy, and they take only 10 minutes to make. When you combine marshmallows with chocolate, you have a winner. 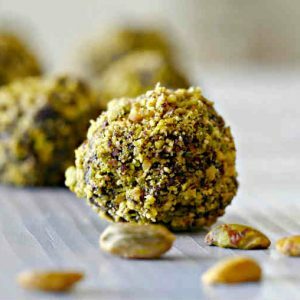 These little morsels are gooey, sticky with a bit of crunch, they are perfect! Hands down this is a favourite by all kids. Here is how they are made. 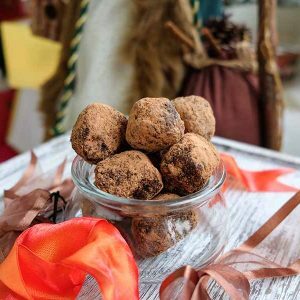 Melt some butter with marshmallows, stir in chocolate and your favourite gluten-free cereal…roll into balls! That’s it, super simple. They are perfect for snacking, make a nice addition to a cookie platter or give as a hostess gift. Enjoy!